Important debate: How would a Xenomorph wear a hat? Alien: Covenant has proven to be a divisive film. Our own Ignatiy Vishnevetsky dug it, but several of our other staffers struggled with its tiresome world-building and lack of impact on the grander story. Some people care about the origin of the Xenomorphs, it seems, while others don’t. That latter group has much more pressing concerns, such as the question of how one might wear a hat. Twitter user @RayNarvaezJr kicked off the debate with a series of illustrations that demonstrate how traditional caps just don’t lend themselves to the alien’s oblong head. This spurred a furious debate, with a variety of Twitter users chiming in to share their thoughts on this important bit of Xenomorph lore. Hey, it’s a lot more interesting than than intergalactic wasps. It’s official. 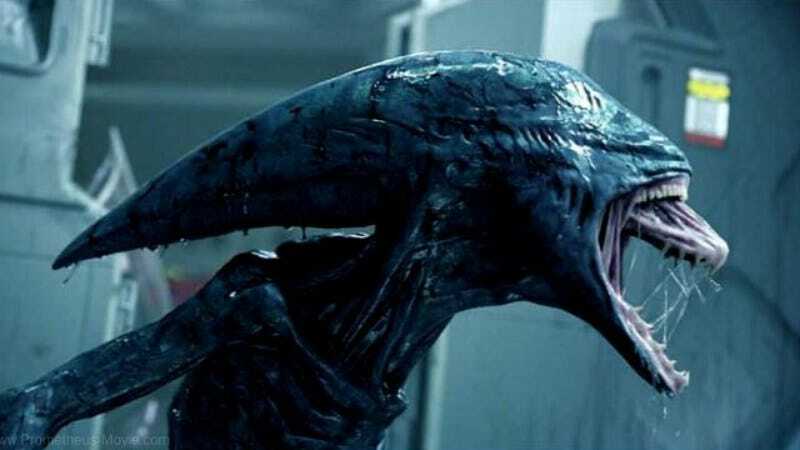 Xenomorphs aren’t scary anymore.